Innovation. 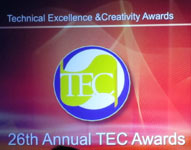 Winter NAMM offered new technology and plenty of networking where Tec Awards and HotZone were in session. We begin the year with music festivals and news from studioexpresso production community. Stay with us and Thanks for the clicks. The music of Local Kid (above) springs from a place where light and dark collide. LK is Larry Anderson ("Junior") - Vocals, Bass; Michael Amaya ("AmayA") - Vocals, Guitar, Drums, Bass; Damon Byers ("Shopan") - Vocals, Guitar. After many months of rehearsing, writing and recording at After Hours studio with mixer/producer Rafa Sardina (Stevie Wonder, Shakira) it's time to share their work with the world. The kids weave their stories with mythical images seen on their Tshirts, band posters. These mystical creatures take you to a magical world beyond the everyday. Expect the same ride with LK music that offers melodic and textured arrangements backed by colorful lyrics and chorus lines. Grammy Award winning singer, songwriter and record producer Raphael Saadiq has announced the release of his fifth studio album Stone Rollin on March 22, 2011 on Columbia Records. Sadique's old school R&B returns with a new release that celebrates the classic sounds of 60s and 70s soul with a futuristic twist. 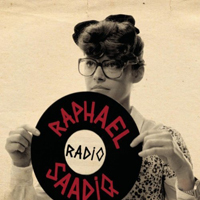 Raphael debuted the video for the track Radio The song is available on iTunes. 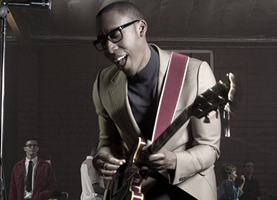 of The Way I See It, Raphael Saadiq truly made his mark as a touring artist, striking a universal chord with audiences around the world through multiple performances at festival dates throughout Europe and the States  including Bonnaroo, Austin City Limits, Lollapalooza, SXSW  as well as a recent opening slot on the Dave Matthews Bands amphitheater tour. Now with his new collection Stone Rollin, Saadiq nods to his heroes like Chuck Berry, Stevie Wonder, and Sly Stone, while merging his own contemporary twist. The end result is a collection that showcases Saadiqs gifted musicality and the stellar production skills that have become the artists signature. Jazz vocal sensation Kat Edmonson will be tracked and mixed by the METAlliance founding directors "In Session with The Guys," February 19-20, 2011 in NYC at famed Avatar Studios. Edmonson has been described as "equal parts Billie Holiday and Bjork" in All About Jazz. "Kat is a tremendous talent -- the best new jazz singer I've heard in years." says Grammy-winning engineer Al Schmitt, who mixed Edmonson's first album. "Kat is definitely a rising star in jazz, with a style and charm that reaches fans in the worlds of blues, rock, pop, and beyond. We'll be recording tracks for her new album, so this is a unique chance to see a true artist making great music in the studio." From Austin, Texas, she been called, "memorable and contagious" by NPR and "the most promising American jazz singer to come along since Cassandra Wilson" by The Boston Globe. 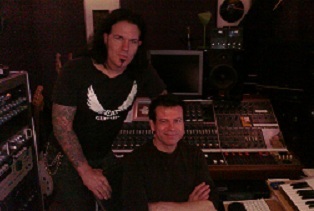 Sean Beavan (Paper Dolls, 8MM) is mixing the seminally influential MORBID ANGEL's album after producing some vocals with the almighty David Vincent (right with Beavan) at his exclusive Blue Room Studios in Los Angeles. Another Beavan artist, 8mm performed this week (1/27) at The Mint. (High Voltage tour). 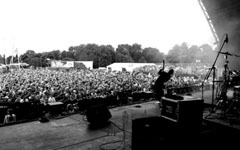 With so many music festivals, artists want to take the performance to their fans almost instantaneously. The good news: Technology has opened more options at lower budgets. But without expertise and trained ears, a low-budget recording can become a fix-it-later nightmare. Award winning Le Mobil offers different technology packages that spells quality plus economy. Call today 760/734-4100 for a quote on the Le Mobile recording system scaled to your next project. Legendary solo artists recorded by Le Mobile include Gwen Stefani, Faith Hill, Eric Clapton, Christina Aguilera, Peter Gabriel, Andrea Bocelli, Kenny Chesney, Roger Waters, Van Morrison and Sting, to name a few. 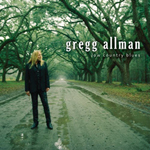 Gregg Allman's Low Country Blues album marks his first solo album in more than 14 years. The Collection of 11 classic blues songs (plus one original) was produced by T Bone Burnett and features a stellar cast of musicians, including Dr. John on piano, Jay Bellerose on drums, Dennis Crouch on bass, Doyle Brahmall II and Colin Linden on guitars, and Allman himself on B3 organ and guitar. According to Burnett, recorded last year at The Village Recorder in Los Angeles, the tracking came fast and furious. "Kicking off with an ominous take on Sleepy John Estes Floating Bridge. From there, the album covers the blues varied emotional terrain, from exuberant showstoppers like Little Miltons Blind Man and the albums one original composition, the swaggering Just Another Rider (co-written with longtime Allman Brothers Band guitarist Warren Haynes), to Skip James haunted Devil Got My Woman and the weary but unbowed traditional, Rolling Stone. Available at Amazon and iTunes and and at all retail locations where music is sold - including Starbucks. The beginning. Two 10-year old kids started writing and performing music in the suburbs of Boston, MA - their way to express joy and frustration of their generation while entertaining family and friends. 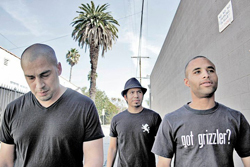 Fast forward in the winter of 2009, Junior and AmayA welcomed Shopan - a vocalist already known in Los Angeles. The resulting collaboration caught the attention of industry veteran 11-time Grammy winning producer Rafa Sardina and an aggressive new label, Ram Jet Records. Recorded at his studio complex the Blakeslee Recording Company in Los Angeles, Raphael Saadiq played bass, mellotron, keys, guitar, percussion and even drums on most of the tracks. Opening with the stomping Heart Attack, the albums other standout cuts include the stunning Go To Hell, featuring his studio squad of musicians who are melodically complimented by an angelic choir, the evocative Dixieland number Day Dreams, featuring Robert Randolph who plays steel guitar on the track, and Just Dont, which includes a guest appearance from one of Saadiqs indie rock favorites Swedish-Japanese singer Yukimi Nagano (Little Dragon). Also making an appearance on that same song is one of Saadiqs idols Larry Dunn (Earth, Wind and Fire), who plays piano and contributes an epic Moog solo. "In Session with The Guys" attendees will participate and interact with the METAlliance founders in live recording and mixing sessions with Edmonson. 10-time Grammy winner Burnett will be honored by Grammy Producers and Engineers wing at a Gala reception at the Village Studios early February. 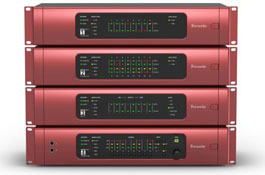 RedNet is Focusrite's new professional audio networking system. Launching with five brand new products and comprehensive control software, it delivers all the features required for a professional studio environment. Focusrite's 25-year legacy ensures uncompromised sound quality, while its robust, cutting-edge networking technology makes RedNet the number-one choice for the modern recording studio. Now, Focusrite brings Dante to the studio as part of a complete, scalable system with a range of extremely high quality digital audio interfaces and components. These provide a diversity of input and output options, with the simplicity and practicalities of Ethernet connectivity. What's more, RedNet is non-proprietary, meaning it will work with any ASIO- or Core Audio-compliant DAW, including Pro Tools 9, Logic and Nuendo. RedNet interfaces can operate alongside any supported PC or Mac with an Ethernet port (including laptops), using Audinate's Dante Virtual Soundcard (DVS) driver, meaning portable RedNet rigs can be configured. However, Focusrite's RedNet PCIe card, which features its own, single Ethernet socket, is dedicated to communicating with the RedNet network. It's the technology on this card that yields the extremely low latencies that make RedNet the ultimate studio upgrade. 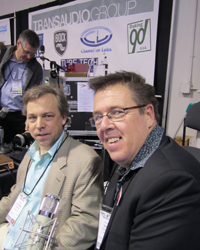 "David Bock is a driven inventor," said Brad Lunde, president of TransAudio Group and worldwide distributor of BOCK Audio. "The 151 was a great microphone, but David found a way to make it even better. 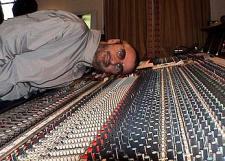 The 241 will be a welcome addition to any studio where first-rate vocals are recorded." Drawmer one of the last great English pro audio manufacturers proudly announces a revision to their popular MX Series, now called MX Pro. the renowned engineer's gift for designing circuitry that is as musical as it is functional. Those in the know will recognize the new MX Pro units have the traditional "Drawmer black" faceplates, a visual homage to Drawmer's twenty-eight year heritage as the leader in dynamics control for live and studio applications. Combo XLR and 1/4-inch jacks accommodate any infrastructure, live or studio. "The MX Pro Series delivers unparalleled sound for the money with all the Drawmer innovations while still being built to last," said Brad Lunde, president of TransAudio Group, the U.S. Distributor for Drawmer. TransAudio Group, distributor of the world's best-performing pro audio recording equipment and the US distributor of Sonodyne nearfield monitors, also introduced the Sonodyne SM 50Ak and SM 100Ak at this year's NAMM show at the Anaheim Convention Center. Leveraging India's booming economy with the company's forty years of experience in the branded and OEM hi-fi market, Sonodyne builds nearfield monitors that are borne of rigorous research & development, built in-house of the highest-quality components, yet sell for less than equivalent American and Euro monitors. 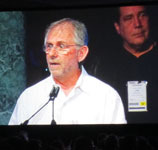 "Ashoke Mukherjee founded Sonodyne in the late 1960s, when audio equipment was strictly an import item in India," explained Brad Lunde, president of TransAudio Group. "Over forty plus years Sonodyne has been investing in research and development and has emerged as the most interesting loudspeaker company outside US Sonodyne powered monitors are winning fans not on price but on performance and compact size. It's time to introduce Sonodyne actives to the American market." The SM 50Ak is the smallest monitor in the Sonodyne range. Its active bi-amp design delivers 45-watts to the 51/4-inch woofer and 45-watts to the tweeter to smoothly reproduce 70 to 22,000 Hz. Its aluminum enclosure and well-considered shape contribute to the open high-end, honest mid-range, and tight bass that have earned the loyalty of engineers in the know. Dave Way has manned the SSL 6048 console in his private Hollywood Hills studio for a tremendous amount of artists, including Fiona Apple, Pink, Christina Aguilera, Ringo Starr, among many others. Recently, Way has welcomed a new group of "performers" to Waystation: no less than seven products from A-Designs Audio and its sibling company, Pete's Place Audio. "My friend, drummer Curt Bisquera, had been telling me about [A-Designs Audio President] Peter Montessi's products for a while and kept saying I had to check his stuff out," Way continues. Visit Focusrite website for complete specs and key system features. Each RedNet I/O device includes JetPLL(TM) jitter-elimination technology, and delivers dynamic range of 120dB, with 24-bit resolution at sample rates up to 192kHz. RedNet is the embodiment of the traditional Focusrite ethos: providing the high performance of today's most advanced digital conversion designs alongside pristine analogue circuitry and implementation, with exceptional value for money and stunning styling. For more information on Bock Audio contact Brad Lunde or Phone (702) 307-2700 or visit www.transaudiogroup.com. The BOCK 241 is in stock and ready to ship. Bock Audio , established in 2007, builds the personal designs developed over the last eleven years by mic expert David Bock in Los Angeles, California. Four units currently comprise the Drawmer MX Pro Series: MX30 compressor, MX40 four-channel gate, MX50 De-Esser and MX60 Channel Strip. All of them rely on Drawmer's proprietary circuitry and deliver a well-considered mixture of automatic functionality and intuitive, musical controls. For more information on Drawmer contact Brad Lunde or Phone (702) 307-2700 or visit www.transaudiogroup.com. The next model up is the SM 100Ak, also biamplified, offering 80-watts to a 61/2-inch woofer, and the same 45-watt powered tweeter. The Sonodyne SM 100Ak delivers more low-end response, a larger sweet spot in front, and greater SPL. Both models surprise the listener with a much larger sound than expected for the size. For more information on Sonodyne Nearfield Monitors contact Brad Lunde or Phone (702) 307-2700 or visit www.transaudiogroup.com. 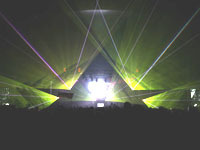 For more information on A-Designs contact Brad Lunde or Phone (702) 307-2700 or visit www.transaudiogroup.com. The Strokes might be there. The band plans to release their new, as-yet-untitled album on March 22 and part of the Coachella line up. Coachella Music and Art Festival 2011 --April 15-17 at Indio, California is sold out just 7 days after the official lineup was announced. A record for the Southland music festival. Promoter Goldenvoice Headliners include Kings of Leon, Arcade Fire, Kanye West, The Strokes, The Black Keys, Lauryn Hill, Robyn and Cee Lo Green. The 3-day musicfest will also feature Erick Morillo, PJ Harvey, Jimmy Eat World, Mumford & sons, Empire of the Sun, and Erykah Badu. The promoters even managed to resurrect 80s British band Duran Duran to highlight its last day of events. Rye Rye alone is wroth braving the heat. The 19-year-old rapper from Baltimore is set to light the underground on fire with her about-to-drop debut album Go! Pop! Bang!, and her blend of street-savvy rhymes and international flavor (inspired in part by label boss M.I.A.) should make for an early party on Sunday afternoon. High Voltage UK July 23-24 2011 Jethro Tull, Judas Priest...get the picture high voltage bands?! Victoria Park is less than 30 minutes from any of Londons main rail stations, so whichever part of the world you are coming from there is a quick and easy route to this lovely part of London. The Hot Zone at NAMM covered over 80 sessions in six rooms during the NAMM show. studioexpresso presented "ROCK, RECORD & ROLL," with a panel of audio professionals who discussed label-friendly production trends. Panelists included: Brent Fischer, Simon Phillips of Phantom Recordings, Brad Lunde founded TransAudio Group, Brian Malouf (Everclear, Michael Franti, and Dave Matthews Band) of Cookie Jar , Rafa Sardina (Stevie Wonder, Shakira, Dr. Dre, Luis Miguel, Beyonce) of Afterhours and attorny Dean Serwin. The session was moderated by Claris Sayadian-Dodge founded studioexpresso.com. 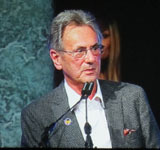 Award-winning photographer, music journalist and author Mr. Bonzai moderated"MUSIC SMARTS" in the Hot Zone at Winter NAMM. 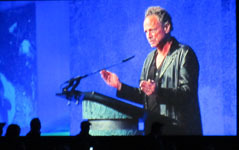 Panelists included: Def Leppard guitar legend Phil Collen; producer CJ Vanston (Tina Turner, Prince, Christopher Guest films); pop singer/songwriter Kristina Helene; record label CEO Scott Austin; folk rocker Justine Bennett; and producer KamranV (Nine Inch Nails, Beck, Spaceland Recordings). Glow Marketings owner Chandra Lynn lead a lively discussion on what it takes to succeed in todays attention economy, and deliver effective marketing strategies from two of the industrys most brilliant minds, Richard McDonald, Senior Vice President, Marketing, Fender Brands and Timothy Self, SVP Sales & Marketing of Propellerhead Software. Organizer David Schwartz says the event drew a good crowd and the stronger next year. Sims New Digital VP at AEG. Veteran digital media executive Todd Sims has joined AEG in the newly created capacity of Senior Vice President Digital, it was announced by Sean Dee, Chief Marketing Officer, AEG. Sims' initial focus will be to centralize and manage the digital assets across more than 50 of AEG's divisions and companies worldwide while developing a strategic digital plan for the organization. Sims, who will report directly to Dee, will align this new digital initiative with two other important and related AEG initiatives u2013 a new ticketing platform and the launch of a new television network. Additionally, he will work closely with the organization's music division to create new online and mobile consumer experiences around core AEG assets such as festivals, exhibitions, tours and special events.With over 15 years of experience building successful Internet companies, Sims began his career at Starwave, which was later sold to Disney, where he served as the executive producer for ESPN.com overseeing NFL.com, NBA.com and NASCAR Online businesses, products and relationships. "AEG has an incredible foundation u2013 amazing assets, large and passionate audiences and an existing relationship with some of the biggest brands in the world," said Sims. "I'm thrilled to be a part of the effort to make AEG a leader in this space," says Sims. $1billion downtown LA stadium Pitch. The Los Angeles City Council agreed last week to study a proposal by AEG Worldwide to build a privately financed NFL stadium in the city's downtown. The council moved to create a formal working group and start an independent financial study of the proposal from AEG Chairman Philip Anschutz, which calls for a $1 billion, 64,000-seat stadium with a retractable roof in the city, the Los Angeles Times reported. AEG President Tim Leiweke told council members the stadium, to be located next to the Los Angeles Convention Center, could be home to two NFL teams -- though the city now has none -- and would be expandable to 78,000 seats to host a Super Bowl or an NCAA Final Four. The company is asking the city for $350 million in bonding authority, which would be repaid with a seat tax, much as is the case with AEG's Staples Center. Leiweke wouldn't say which NFL teams he had been trying to lure, but the San Diego Chargers and Minnesota Vikings are thought to be the leading candidates to become tenants. This month Four Friends Gallery Acoustic Series presented I See Hawks In L.A. where you can expect to enjoy music surrounded by art, fine photography, artifacts, paintings, lithographs, sculptures, and Tibetan doors. ISHILA first gathered on the front porch in Echo Park with beers, wrote their first batch of songs and then sought advice from local country rock guru David Jackson, bassist with John Denver, Dillard and Clark, and EmmyLou Harris. Jackson set up a few mics and recorded brothers Rob and Paul, adding his own melodic bass lines. This demo turned into featured songs on the Hawks eponymous debut, featuring legendary fiddler Brantley Kearns (Dwight Yoakam, Dave Alvin, Hazel Dickens). The CD established the Hawks signature sound: high lonesome three part harmonies, twang guitar and unadorned acoustic arrangements, with lyrics musing on mortality, whales, and the geography of pre-apocalyptic LA ISHILA who have been requested openers for Lucinda Williams and Dave Alvin received rave reviews, and made the F.A.R. Alternative Country Chart, and continues to get regular airplay. The songs are rife with mournful social commentary, environmental tragedy, wily humor, outsider guile, and political undercurrent. If I had to sum up the buzz at Sundance this year in a single sentence, it would be this: Independent film is back. This years tasty, vibrant selection of films makes it clear, I think, that festival director, John Cooper and programmer Trevor Groth have re-energized the festival, heightening its quality and organizing the movies with a tempting new shape and vision. They have made a difference in the way that a lot of people (including the highbrow snarkers who like to dismiss Sundance as a commodification of art) regard the possibilities of American independent film. Take Life In A Day --a product of the technological revolution that Koyaanisqatsi prophesized and celebrated years before it. It feels so much less technological and abstract. 80,000 video submissions from around the world via YouTube at Sundance -- all short films shot on July 24, 2010 and often produced on laptops. The video diaries provide a time capsule and offer a reality window into lives of ordinary citizens from Russia, Africa, Dubai, Europe.... Imagine editing 4,500 videos from a wide range of people in 192 countries: young filmmakers looking for a break, and individuals and families who simply had a story to tell. Life In a Day" was a project conceived by YouTube and carried out by Scott Free Productions, the movie and TV company run by acclaimed directors Ridley and Tony Scott. It was directed by Oscar winner Kevin Macdonald from a concept conceived by YouTube and film producer Liza Marshall. The idea was simple, yet in its execution very complex. The idea: ask YouTube users to videotape one full-day in their lives, July 24, 2010, and send in the video. The execution: from the footage, pull together a 90-minute movie which will be released by National Geographic in theaters on July 24  exactly one year after the film's footage was shot. The message of the movie -- Near the end, a young woman sits in her car, in the middle of a rainstorm, and talks about how she wanted to film something great for the project, but alas, nothing great happened that day!. Her words become transcendent when you realize that she has just articulated the key to the movie and maybe even the secret of life: that every day just is. And thats enough. The Internet Rock Stars Among San Francisco Bay Area's trendsetters, Rdio is definitely rising fast since it launched in August, 2010. All in all, it looks like Rdio is going to make a serious play in online music. Last week Rdio, the online music-streaming service launched two years ago, announced it would be adding 1.75 million new tracks from independent bands courtesy of a deal it had struck with Merlin Network, a nonprofit organization that polices and negotiates for the rights of indie bands. As anyone who follows music knows, indie bands are no longer marginal players, and adding acts such as album-rock sensations Arcade Fire to its playlist gives Rdio a big boost. Rdio was envisioned and launched by Janus Friis and Niklas Zennstrom, who had founded Skype, formerly an EBay (EBAY) subsidiary. The duo hit a home run with Skype but have logged notable failures in peer-to-peer music service KaZaa (which was ultimately shut down after music labels accused it of fostering piracy) and Joost, an ill-fated online TV and video content startup that has lagged behind Google's (GOOG) YouTube, Netflix (NFLX) and big broadcaster-owned Hulu. Sponsored Links However, a confluence of trends should give Rdio a nifty lift. Wireless broadband has gotten much faster, enabling easier and higher-quality music streaming to handsets or vehicles (cars are the Holy Grail for online music ventures since so much music gets consumed on the road). Equally important, wireless broadband is scheduled to get much faster with the rollout of a next-generation of wireless technology called LTE (for Long-Term Evolution). Naturally, Rdio is positioned to benefit from paths already cleared by Apple's iTunes store and by Pandora. Collectively, this dominating duo has breathed life into the formerly moribund online music market, and both are turning into nice profit centers. All of these are merely precursors to success, of course. Zennstrom and Friis will get loads of free press and good will because -- let's face it -- they're Internet rock stars. That will help online radio become commonplace. 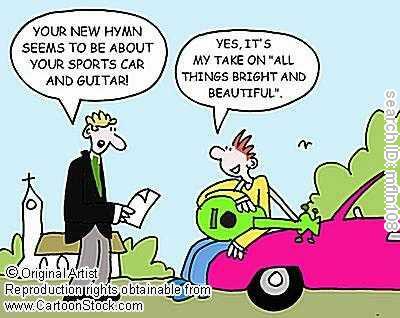 Users pay about $10 per month and can access any of the hundreds of thousands of available songs at any time. 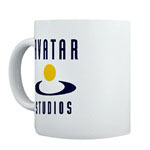 The service is easy to use, and I really like it. I think it's going to be one of the next really big Internet business hits. And it emphasizes something I liked about Apple's Lala which shut down -- the ability to discover new music by following people who seem to have interesting taste or by following curated music collections. Tune in for a rocket ride up the charts with this startup. Farewell "The Man With the Golden Ear"
Don Kirshner died in Boca Raton, Fla., on Monday. He was 76. The songwriter and rock producer experienced early success as a co-founder of Aldon Music, located in New York City's legendary Brill Building, where he published hits by songwriters including Carole King, Neil Sedaka, Howard Greenfield, Cynthia Weil and Barry Mann. Aldon Music was bought from Columbia Records for four and a half million dollars. Later in his career, Kirshner hosted the "Don Kirshner's Rock Concert" TV program, which gained notoriety for its live performances by such performers as the Allman Brothers, David Bowie and many other stars. In 1966, Kirshner helped the Monkees and their television show achieve national recognition with such hits as "I'm a Believer." We hear from artists every day from all corners of the world -- France, Germany, Russian, Israel, Asia, Australia and Middle East asking how they can get heard or build their careers. We've decided to feature a letter or phone message each month and share our response with other new artists with similar needs or questions. Our goal remains to empower new artists and encourage them to find their voice and musical path. Most importantly, we're here to remind artists that it's a long journey, so enjoy the process. We encourage artists to provide a link to their music site when they contact us..this way, if a producer or manager is interested, they can be contacted directly.visit production talent at studioexpresso We can recommend someone who fits your requirements or you may send your top 3 choice(s). Thanks. Picture Perfect Sonic Boom --Did you know that rapid condensation of water vapor due to a sonic shock produced at sub-sonic speed creates a vapor cone (known as a PrandtlGlauert singularity), which can be seen with the naked eye. watch it here! 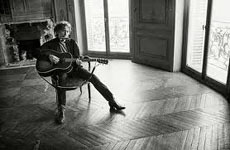 l-r: Enjoy Sam Jones Photographs (scroll down and click on images) to Dylan song "Love Minus Zero"; Courtesy of Capitol Studios Archive. Until next month...thanks for the read and for contributing!